Qualified expenses include amounts paid or incurred during the tax year for books, supplies, computer equipment (including related software and services), other equipment, and supplementary materials that you use in the classroom. For courses in health and physical education, the costs for supplies are qualified expenses only if related to athletics. 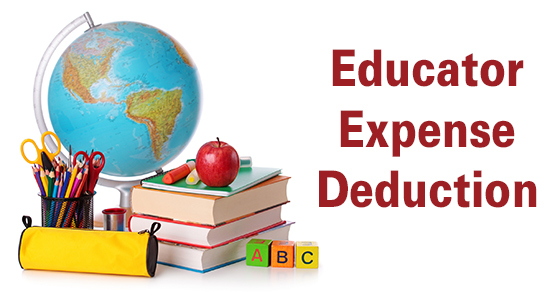 Please contact us for more details about the educator expense deduction or tax breaks available for other work-related expenses.